There are big questions facing the world of justice. At the annual International Bar Association (IBA) Conference on International Criminal Law the current issues such as terrorism and the permissible use of force, the new ICC crime of aggression, the role truth plays in the justice process, and whether the future of international criminal law will be in domestic courts were all deliberated. On a sunny day in April, international lawyers, NGOs, and academics gathered in The Hague’s Peace Palace. In her keynote address, and in the context of the 20 year anniversary of the Rome Statute setting up the International Criminal Court (ICC), Judge Navanetham Pillay acknowledged the on-going issues in Africa, such as state party withdrawal and the Al-Bashir dispute, and the criticism which has been levelled at the ICC of bias. Despite these problems, her outlook was positive as she explained how we are moving towards a society which embraces international criminal justice. In an important prompt to us all, Judge Pillay reminded everyone that twenty years is “only a drop in time” in comparison to a 2000 year history of international treaties. 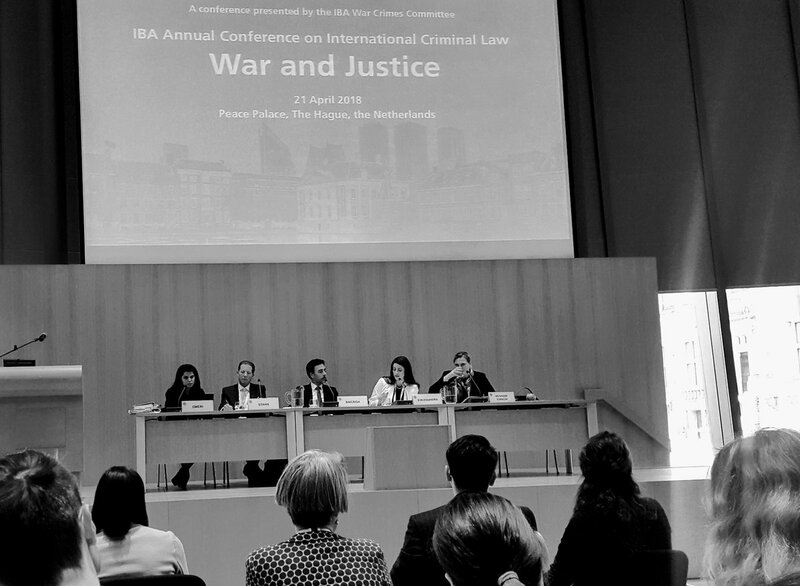 Judge Pillay’s encouraging outlook was particularly timely when the conference went on to dissect the new ICC Crime of Aggression, which has taken 15 years to activate. The discussants presented a clear and comprehensive overview of this new offence, which will be activated on 17 July 2018. It’s clear to those in the international criminal justice world that the introduction of fourth crime at the ICC will be limited in its practical effect but the potential ripple into domestic proceedings may make this offence will be more than just symbolic. Article 8bis of the Rome Statute defines the Crime of Aggression as an act which, by its character, gravity and scale, constitutes a manifest violation of the Charter of the United Nations. As Astrid Reisinger Coracini of the University of Salzburg explained, at least two of these three elements must be grave in their scale for the act to be a manifest violation. Coracini also explained how the person who can commit such an act has not been limited to a state official but a person who exercises control over the political or military action of a state. Stefan Barriga, Deputy Permanent Representative of Liechtenstein to the European Union, provided an explanation about the length in time it has taken to reach the point of activation. Despite the offence forming part of the original Rome Statute, the court could not exercise jurisdiction until the crime was defined and the conditions were set out for jurisdiction. A special working group, including both Barriga and Coracini, was formed in 2003 and was mandated to deal with these issues. This resulted in years of diplomatic to-ing and fro-ing with parties disagreeing on the scope and jurisdiction of the offence. The compromise which has been reached ensures activation of the offence, but leaves a bizarre scenario where the state parties can choose to opt in (by ratifying the amendments to the Rome Statute) but, once they have done so, they can also choose to opt out. There is criticism that this will significantly reduce the jurisdiction of the court. Despite the offence taking such a long time to come to fruition, Carsten Stahn of Leiden University presented a more optimistic outlook on its future. In his opinion, even if there are no prosecutions, the new offence will still have had a positive effect by challenging the discourse surrounding the use of force. At the very least, it will act as a social deterrent, ensuring more cautious behaviour by stakeholders. Contributions from the conference floor remarked that this new offence has a threshold too high for successful prosecutions. Stahn’s response to this was that, in theory, it should be easier to prosecute a leader for the Crime of Aggression rather than a battlefield crime because in the latter it is much harder to prove intention. In the case of aggression, the leader will have ordered an invasion so evidence will be public and well documented. The message from the panel was a resounding call for civil society to pressure state parties to ratify the amendments and remain opted in. The scepticism about the success of this new offence is similar to the scepticism which surrounded the ICC when the Rome Statute was first ratified 20 years ago. We should learn from the progress and success of the past 20 years and remain hopeful that this will lead to further accountability of international crimes. 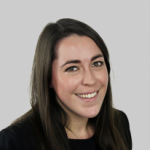 Emily Elliott is an Associate in the Criminal Litigation team at Kingsley Napley LLP and was previously an intern at the ICTY. Kingsley Napley LLP is a London based firm with a leading criminal law and extradition team.